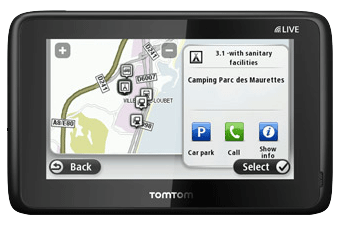 Sat Nav manufacturer TomTom have announced details of a new product aimed specifically at caravan and motorhome owners. The “GO LIVE Camper & Caravan” has been designed to help caravan and motorhome owners avoid low bridges or narrow roads in an effort to provide a more stress free route to the campsite. But what’s really clever is that you can setup a number of different profiles with specific size, weight and speed restrictions – so switching between using the device when towing, in a motorhome or in a normal car is quick and simple. It also highlights points of interest relevant to caravan and motorhome owners, such as campsites and services. After seeing motorhome roof damage rise in recent years we launched a Free Height Reminder Sticker which helped claims drop by 43%, and this new device can only help the number of accidents to drop even further. 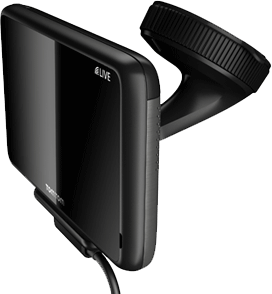 The GO LIVE Camper & Caravan Sat Nav comes equipped with maps for 45 European countries and will have an RRP of £349.99. TomTom have not yet announced when the device will go on sale. I have recently purchased this from Halfords and got £20 off. We are currently using it with our Motorhome on a trip to Italy via Luxembourg/Alps. It has been fantastic! I loaded additional POIs via there app that also works on Mac OS unlike others. It has not let us down or taken us on smal roads. It has diverted us round traffic and found every site we have programmed in. It has also been helpful when finding cash machines and fuel. It is pricey but very well made, clear screen and clear directions. Highly recommended. Great recommendation thanks Jake! If anyone wants any info on the GO LIVE sat nav, see here for details. I have received notification that the maps can be purchased for my GoLive 1000 (and other releative new models), however when I went to the website it is ‘not yet’. Presumably ‘coming soon’ (although that phrase often doesn’t mean much to TomTom – they used it a lot for my model when I bought it and to wait nearly a year for a lot of the functionality advertised) but how much. Personally I am interested at a sensible price, but would like to read a review on how i works. I have a snooper ventura lite 6000 this is especially for caravaners and has camping sites etc on it.I have used it for miles and miles and has never got me into any trouble unlike the Tom Tom i give to my son. Great idea, but seams a bit steep at an RRP of £349.99!! Great news about tom-tom sat nav for caravans etc. Nice to see some more competition in the sat nav market place. mention caravan or any other camping activity !!!!!!!!!!! let’s think of a number, double it and add the age of old father time – that seems like a good price. As usual TomTom come to the party late there are others already in the market. Of course there’s the usual premium around an extra £150 to £200 on the price of the average TomTom device! Stinks really, what we want is a way to include the right kind of information into existing devices either TomTom or any other. Someone able to do this would make an absolute fortune, as opposed to the presumed fortune TomTom are going to make of course! Be interesting to see exactly what they do come out with and compare it to the one’s about at the moment, sadly all manufacturers place a premium price on these specialist one’s, they must presume we are all very wealthy!